Shown to improve strength, neuromuscular force control, and balance. This series of classes will focus on seven forms of T’ai Chi. No charge for ISU participants, but registration is required. 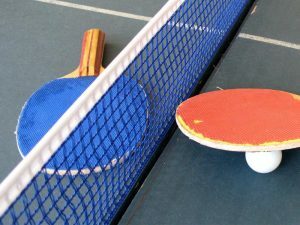 An indoor game based on tennis, played with small paddles and a ball bounced on a table divided by a net. Takes place in the Metcalf Small Gym and registration is required. No charge for ISU participants.